Large with a firm, sweet, crisp juicy flesh. Excellent in salads, sauces and pies. Cripps Pink (sold as Pink Lady™) has a pink blush over a greenish yellow base skin. Known as the Queen of apples, it is a crisp apple with a dense, firm flesh and an excellent, almost effervescent flavour. 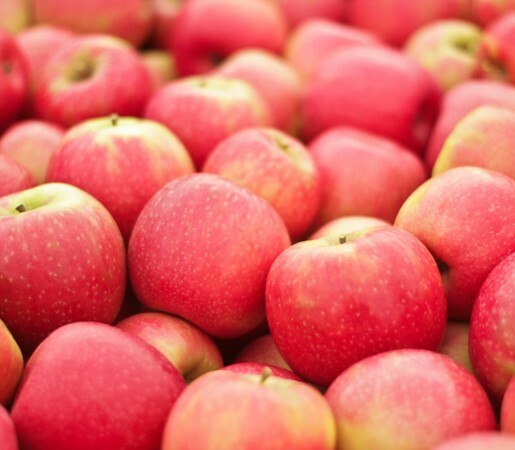 Cripps Pink (sold as Pink Lady™) has a high sugar content making it perfect for cooking. Availability: May through to February.